Late last week, Brian Fischer let it be known that he was stepping down as the Shorecrest boys' basketball coach. Fischer will stay on as a Science teacher at Shorecrest, and he’ll have many more nights when he and his lovely wife Amber get to tuck into bed and kiss goodnight their sons Brayden, Caleb, and Brody (whom they adopted from China in 2015). In his 13 years at the helm, the Scots won two District Championships and finished second at State in 2016. But more important than the wins and losses (the how many) is the HOW? How did he use his position as boys' basketball coach to influence the young men who played for him? Steven Lin, Captain of the 2017 District Championship team, talked about the influence Coach Fischer had on him. “Brian Fischer was a great coach, but he was a better role model. This is a guy who would set up an annual trip every four years for the team to go to third world countries and help out underprivileged communities by building a basketball court and connecting with the people there. "It would be done out of his own pocket. And he would do this not because of his personal image or because of personal gratitude, but because he cares. He cares not only for those kids not having the daily privileges that we take for granted, but he also cares about every guy on his team and what they can take away from basketball beyond the court. "And I believe that Coach’s ideals carried over to our team during my senior year. I think our team played so well together because we genuinely cared about the success of one another, rather than personal stats and highlight plays. "And that philosophy, the same one that Fischer tries to imprint on his players every season, is the reason why we were pretty successful in my time there. "That’s what I’ll remember and take away the most from Coach Fischer, to care and put in your best effort, not only for yourself but for everyone else around you." Perhaps Coach Fischer’s staunchest on-court adversary, Mountlake Terrace Head Coach Nalin Sood, said it best. Sood, 18 years the coach of the Hawks, and a recent inductee into the Washington Interscholastic Basketball Coaches Association Hall of Fame, took time from a family vacation to share his thoughts. “In reflecting on Brian Fischer and his coaching tenure with the Shorecrest Boys Basketball program three words come to mind: respect, admiration, and appreciation. Brian set the bar in these three areas and many a coach could learn a lot from him in these three important areas; three areas even more important than just being a coach. "I have a great respect for Brian and his staff over the past 13 years due to how hard they worked at their craft and the time they put in. Many a night when I would walk into a gym to scout an opponent there would be Brian, video camera and all, ready to get his team as well prepared as possible. 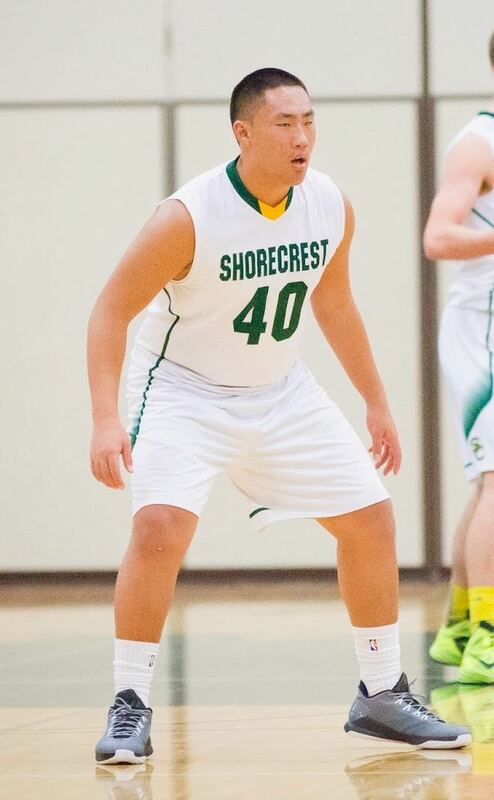 "Anyone who saw Shorecrest play saw that they were always prepared. "My admiration for Brian goes deep as I had many opportunities to talk with him outside of the game and got to know and see him as a husband and dad to his family, and mentor to his players. "Lastly, my appreciation for Brian will always be sincere. Over the past 13 years Brian’s teams made our teams better. Many years our teams battled in games that had major implications on the line, the stakes were high and the intensity level was great. "Brian is the ultimate competitor but during these games Brian and his teams always competed with class. They won with humbleness and lost with dignity, something I hope we did also. Brian never compromised standards and expectations from his players for the ‘almighty win’. How many coaches can say that? "Brian made me a better coach.